Aries people are child like innocent, jealous and sometimes selfish like children but courageous and determined. 2011 promises success in all endeavours and realisation of dreams and wishes. Professionally, 2011 will ensure that all your ideas, proposals and projects come to pass. It is an excellent year for cash flow, savings and investments especially the second half the year. Family life will be peaceful and harmonious, and in fact the planets suggest that you listen to your partner/spouse to gel and bask in love and intimacy. Those unattached may find a soul mate. New horizons, far cultures and education will be on your mind. June to August is the ideal time to slow down and look after your body, soul and self image..
Stubborn, adamant, patient and practical, Taurus can weather any adverse situation and circumstances. You will have to work very hard in 2011 to succeed in your career but if you remain focussed and channel your energy to constructive ideas and be adaptable, you will have no worries. It is a good year to explore new venues may be a second job, to increase your income and lay foundations for a secure material future. It is time to confide in and open up to your partner to get love and support, forge new alliances, communicate with friends and the world and avoid hasty and impulsive decisions. Find ways to relax lay back and let others do the work sometimes. Watch out for kidney problems. Gemini are very friendly, charming and extrovert but 2011 will bring problems at workplace as co-workers and bosses spare no stone unturned to sabotage your projects and mar your progress. Discard self doubts, chin up and just wade through with courage and confidence and you are a winner. Communications with superiors and VIPs will enable you to expand and achieve professional goals. Financially 2011 is going to be great especially October onwards. Passion, glamour, social status and reputation all soar this year. Your magnetism and charisma attracts admirers seeking your company and advice. Family life and general relationships will be peaceful and harmonious. Frequent overseas travel, exploring new horizons and making new contacts boost your spirits. Watch your diet and don’t over indulge. With their aptitude of being shrewd and practical, Cancerians will reap the fruits of their past efforts, and get tangible results in all fields of life. Your professional life, career and business, may at time confront delays and obstructions, but with your determination you will be a winner. The challenges will act as stimulant to encourage you to charge ahead, explore new resources to generate more cash, invest wisely and provide a material security to your loved ones and family. Financially you will be remain strong this year and regain your confidence. Single Cancer people will meet their soul mates in summer of 2011 and for others love and romance blossoms all through the year. Opportunity to relocate arrives in the autumn. Leos are strong, determined and demanding and are always centre of attention at home or in public. 2011 is the year of Leo, when you can pursue your projects which you have been planning for, realign and reassess relationships and joint ventures and take advantage of the financial opportunities. 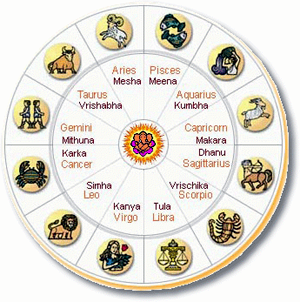 The planetary configuration will help you to enhance your income, invest wisely and delve in property. Opportunities abound this year, someone may offer you a lucrative business proposal or lead a group. You will need to pay attention to your loved one rather than keep admiring yourself. Your social status and reputation soar and yearning to lead, travel and explore will make you restless. Eat right, rest (sometimes hibernate) and do not over indulge. Stability is the key word for Virgos in 2011.Focus on building your career, improving relationships and supporting loved ones. Take things in your stride, avoid rush, impulsive actions and outbursts and read the “small print” prior to signing on the dotted lines. It will be safe to seek legal advice, and consult the financial experts before investing your money. Cooperation with workmates and communications with bosses would be beneficial to secure promotion and pay rise. 2011 is great to resolve difference with your partner/spouse and attend to issues with siblings and parents. From July onwards your love life is great with romance and intimacy sweeping you off your feet. Friends and family are supportive. Frequent overseas trips are in the stars. Watch your digestive system. Ruled by Venus, the goddess of love, Librans remain calm and relaxed, popular among friends and soul of any social event. 2011 brings stability and prosperity, though there may slight hiccups at workplace early in the year but nothing that your diplomacy and composure cannot overcome. Money matters, career issues and family affairs traverse a bumpy road during first half of year. Be vigilant with your money, valuables and possessions and avoid temptations to invest in property. Romance features strong in your 2011 horoscope, passionate, fiery and possessive. You will be overwhelmed by a new admirer but it is the old love that you need to stick to. The impulsive choices of last year put roadblocks midyear but the second half is peaceful and harmonious..
2011 will see everything going your way and you will have nothing but pleasure, harmony and peace in your life. Your ambitions, wishes and desires will be fulfilled this year. The pace will be hectic and exhaustive but at times you would like to retreat and relax. Early part of the year brings promotion, bonus and pay increases. Your financial position remains strong this year but you may have to spend to renovate your family home. Your intuition and inner voice prompts you to channel your energy into creative projects. Family life and marital life will be pleasant and joyous but your partner will expect you to be open and sincere. A family vacation early in the summer will gel you all together. Energetic, positive, dynamic, adventurer and traveller, Sagittarians enter 2011 with a bang, poised for success and achievements. This year constraints and obstruction disappear and free you to explore new horizons and cultures, change your life style, relocate and secure a new lucrative job/ business contract. Opportunities for travel and adventure abound this year. The first half of the year is peaks and valleys relating to career and financial affairs but minor setbacks will be offset by greater success in investments, family pleasure and romance. Your popularity and status is destined to soar attracting more people to your circle of admirers but keep away from jealous and envious friends. Loved ones and siblings will be supportive to your ideas. Over all 2011will prove to be excellent year for you. You are ready to reap the fruits of your hard work last year and the planets will bless you with success and achievement in your career but beware of the jealousies and complications at workplace. Team work and joint ventures will yield financial success boosting your courage, confidence and desire to secure more gains. Communications will be vital to acquire support and improve personal and commercial relationships. You have the Midas touch and anything you touch turns to gold and whilst others struggle, you will lay solid foundations for your material security. The only stumbling block will be your short temper, aggression and irrational behaviour. If single, you may tie the knot this year. 2011 will be joyous, harmonious and relaxing year. Aquarius is friendly and likeable person who imparts guidance and advice and pleasant companionships to others. Their double sided personality swinging between shyness and extrovert attitude often confuses friends and family. 2011 will be a fortunate year at workplace, meetings and discussions prove profitable and extra cash in bonuses, dividends, pay hikes is splattered around you this year. Some of you will invest in real estate and build up a fantastic property profile. Expansion, new horizons, overseas contacts and far travel will feature high after May. Family loved ones and harmonious emotional ties will be your priority. and your sensitive nature will long for a loving relationship. Romance, love intimacy will reign your life in the second half of the year. Dive in and get the pearls of love. Career, money and the desire to expand and attain goals will be your focal points in 2011.Sudden changes will affect all walks of life, in particular your personal relationships. It is your instinct to waver and create conflicts within and you will be wasting precious time to ward off worries and tensions. They possess sound knowledge on various topics, are kind and generous. First half of the year is harmonious and smooth with financial growth, professional development and joyous family life. After June, career and money become slightly confused and complicated. A close relationship hits the rocks, July to September, but it is a smooth run after that. Far travel, short journeys and social events help forget the disappointments. Are you ready for a new love this year?